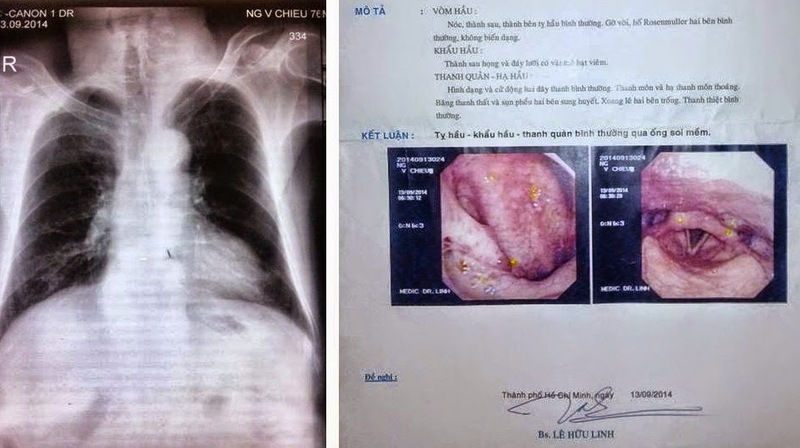 Male patient 76yo, swollen R. neck, axilla and supraclavicular area for ½ month, no pain nor fever. Ultrasound detected R. maxillary angle, carotid chains and supraclavicular nodes, size of 20-43mm. Round, poor liked cystic, vascular, noncalcified, lost-hilar nodes. Small nodes were homogenous, but big one was inhomogenous, with necrotic areas and hyperechoic fibrous septa. R. axillary node, big size od 50x40mm, lost-hilar node, inhomogenous with necrotic and vascular solid areas. 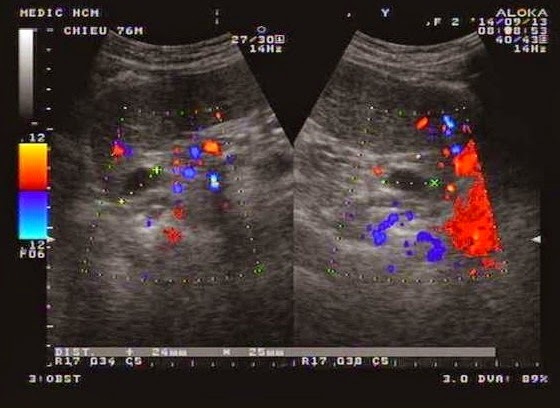 In epigastric region, sonologist detected a poor node, size of 25mm. No lymph node in groins and L.axillary area was found. Thought about diffuse infiltrating lymphoma and different diagnosing of TB nodes. Chest X-Rays and pharyngoscopy were intact. Pathologic immunohistology staining result: HMMD: CD 20 (+), CD 3 (-), CD 30 (-). 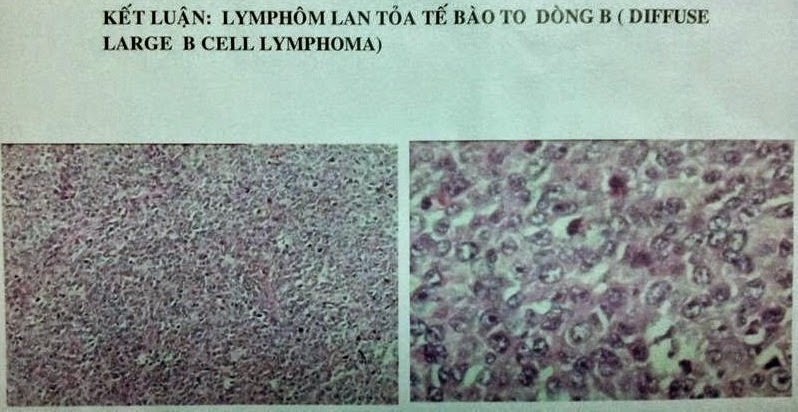 DIFFUSE LARGE B CELL LYMPHOMA. 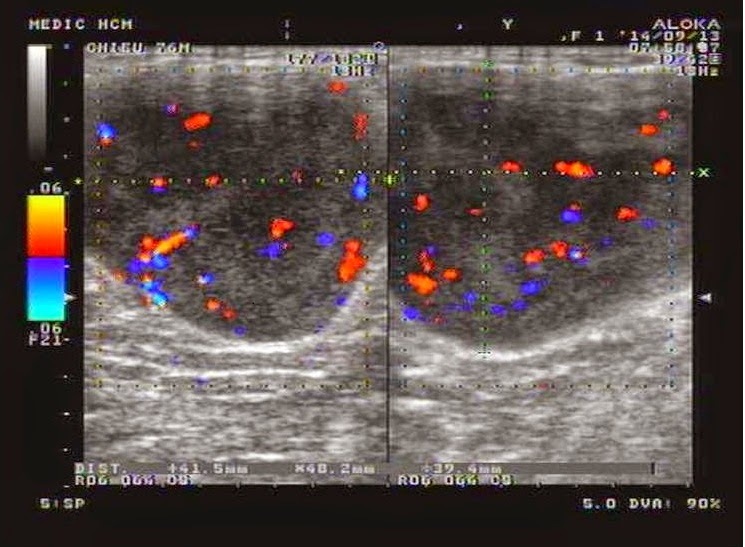 Ultrasound has the role of detection and diagnosing of lymphoma quite exactly based on liked cystic pattern of node. Non edema surrounding fatty tissue helps ruling out acute inflamed node or infested TB node. Ultrasound can approach multi area of body that evaluates staging so helping of treatment planning as fast as possible.